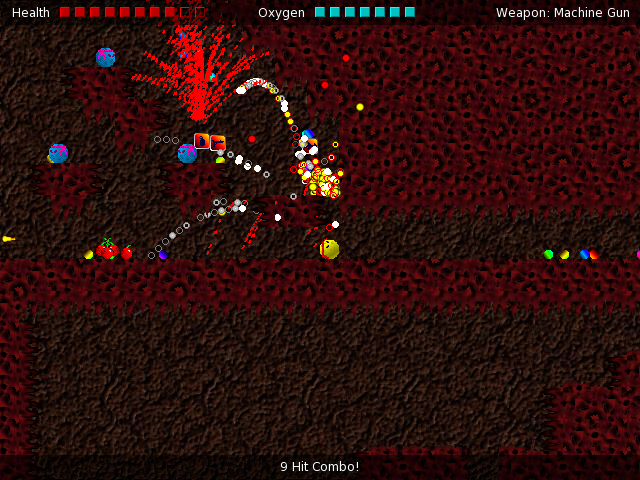 Among that period’s more ambitious products is the sweeping, explode-y Blob Wars: Metal Blob Solid. The game doesn’t reach its intensity goal, but in going for broke, it lucks into maybe a more interesting concept where guns and gore add texture to its surprisingly open-ended missions. The game picks up some time after aliens have invaded the peaceful Blob planet, bringing war and chaos for the world for first time in generations. Your rugged, bandana-sporting Blob hero mounts a one-blob mission to sneak into the aliens’ bases and liberate his people. To cover the entire planet, you occasionally need to find special equipment like a jetpack and revisit earlier areas. Despite the premise and parody title suggesting stealth, Metal Blob Solid has the aspirations of an action game, albeit a shallower one than it wants. On the default difficulty level, you can mow through aliens and turncoat blob soldiers pretty quickly with whatever weapon you happen to have, even in cases where the enemies regenerate. Blasting away everything you encounter is satisfying at first, though ultimately hollow: if it’s so simple, why take up the battle at all? The boss fights throughout the game present opportunities for more challenging, complex combat, but they never iterate on the frequently brainless shooting and, without the needed resistance, fail to engage on either a fun or conceptual level. 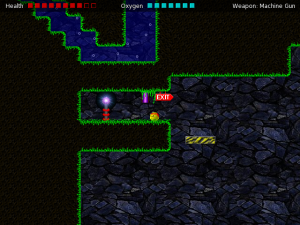 Thankfully, killing enemies only fills in as background noise to the rest of the game’s objectives. Your main goal in each stage is to rescue as many blob hostages as possible and often to find an exit, both of which call more for exploration than violence. Every area has a fairly open-ended layout, encouraging you to take long detours to find keys, hostages, or optional tasks hidden in corners or deep underwater. You can usually discover multiple ways to advance; some levels entirely lack exits and automatically end after you’ve completed enough. 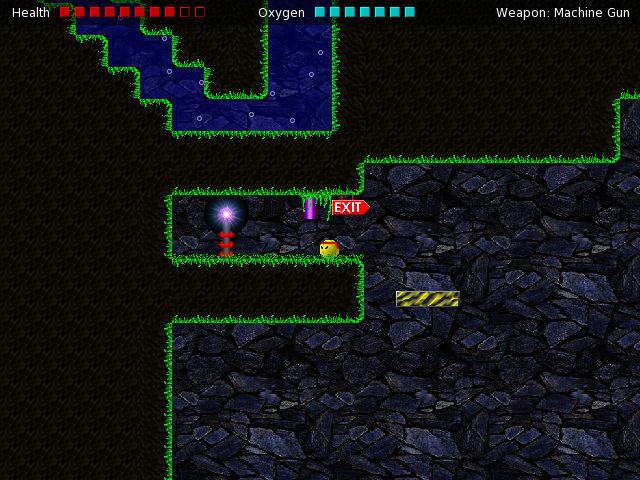 Here, in level design more than in combat, Metal Blob Solid showcases its real strengths. Between its forked tunnels, huge open spaces, and tricky paths over pits and lava pools, Metal Blob Solid finds great interest in letting you roam and complete levels in order of your curiosity. This might sound contemplative and slow – a serious thematic mismatch for a game about a machine-gun-wielding smiley face – but the game’s uninspiring combat acts better as a tool to punch up the pace rather than as the main attraction. A few pushover aliens peppered in at the right points add the fleeting urgency to keep things moving. 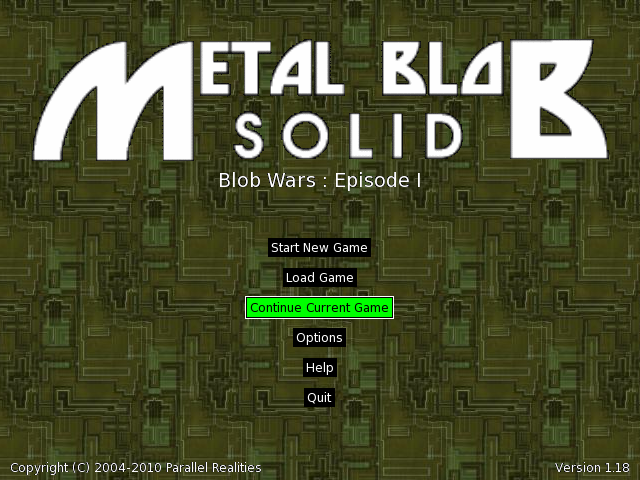 Metal Blob Solid is not the action game developer Parallel Realities perhaps aimed for. Almost incidentally, it ends up fun anyway as a fast-moving exploratory platformer. 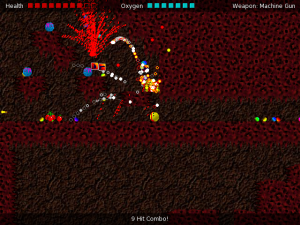 As with many early open-source games, Metal Blob Solid is patchy, and its origins probably bear the blame for its misdirected design. Still, it solidly hits a different target than intended, one of those wonderful, serendipitous successes that came out of the movement.